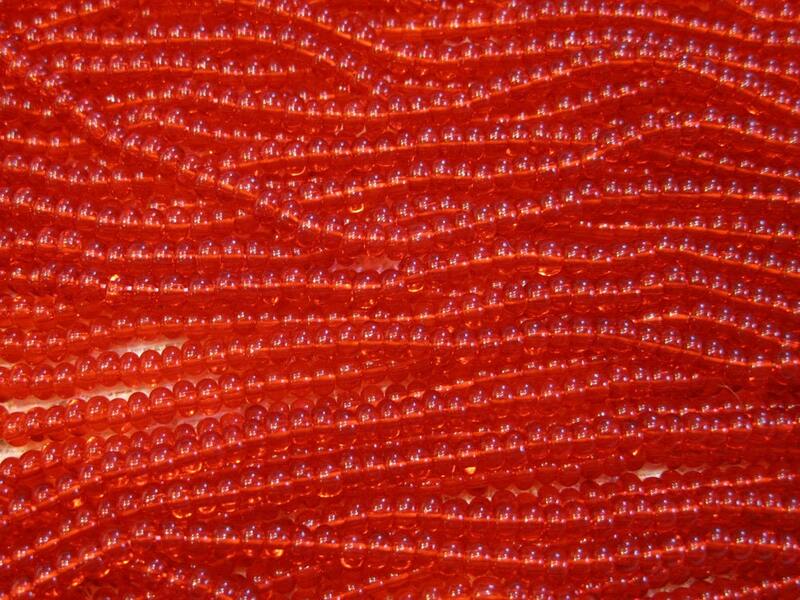 Light ruby red transparent size 6/0 Czech glass seed beads. Size 6/0 beads measure about 4mm (also referred to as E-beads). 12 grams of beads on a 19 inch strand, about 9 beads per inch....that's around 175-185 beads!. Plenty of large hole beads for your beading, knitting, crochet, fiber arts projects! I already made a very nice rosette necklace using these beads-it has a very nice aspect when combined with white,yellow,orange and black.